We went up the Kennebec River today to start collecting the pinhole cameras we set out along the river back in June. From Indian Pond in the Forks Plantation to Skowhegan we set out over 40 pinhole cameras to capture the sun as it tracks across the sky for my Solargraph project (See it under the Projects tab). We were disappointed right out of the gate when the first locations we went to we found the cameras had been taken down. The rule of thumb along the way ended up being that at any location that saw a lot of traffic the cameras were taken down. Sometimes they would be strewn on the ground, other times, just gone. Probably thrown into the river. The correlating factor to the camera disappearances was that they were placed in areas where there was a lot of garbage–notably broken beer bottles or beer cans. We went to each location and, if the cameras were gone, we’d search to see if they were on the ground, then we’d cut the remaining duct tape off and take it with us. 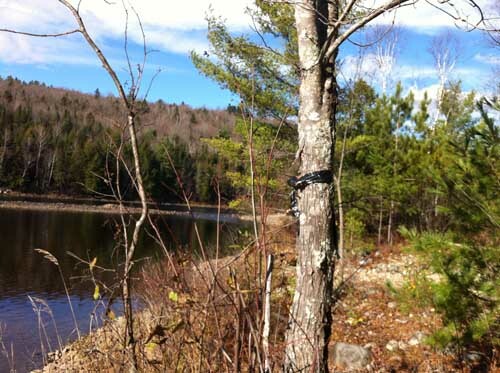 Out of 45 cameras we set out between Skowhegan and Indian Pond, 27 of them were still there. 18 were missing. My husband repeatedly wondered why people would take them down. They were all clearly marked with website and project information. My hypothesis is that, in these times of surveillance, they probably thought they were being monitored. A friend of ours likes to use game cameras in the woods. He said he lost so many to theft that he had to stop buying them. I hope the folks who tore the cameras apart were surprised to see just some photo paper inside! At one location we went to last week, someone thought the camera was a geocache. 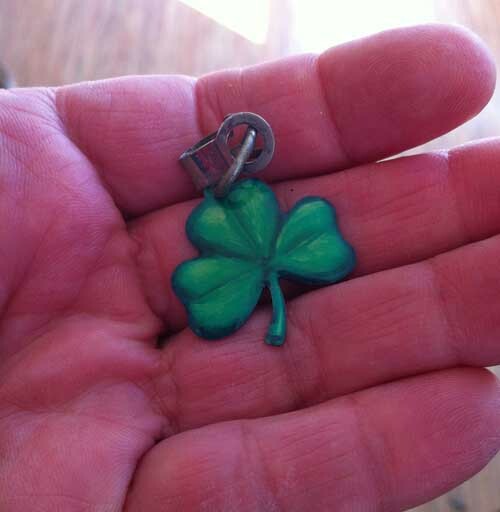 They opened the camera up, signed their names and dated it, then left a shamrock charm and closed the camera back up. This is the resulting image from the Nickle Bridge. Just 4 days before I arrived to retrieve the camera, a couple must’ve thought it was a geocache site. They opened it up, signed their names to the photo paper, and left behind a shamrock charm. This is what I got when I opened the pinhole camera in the darkroom. Thanks, whoever you are! I need all the luck I can get! 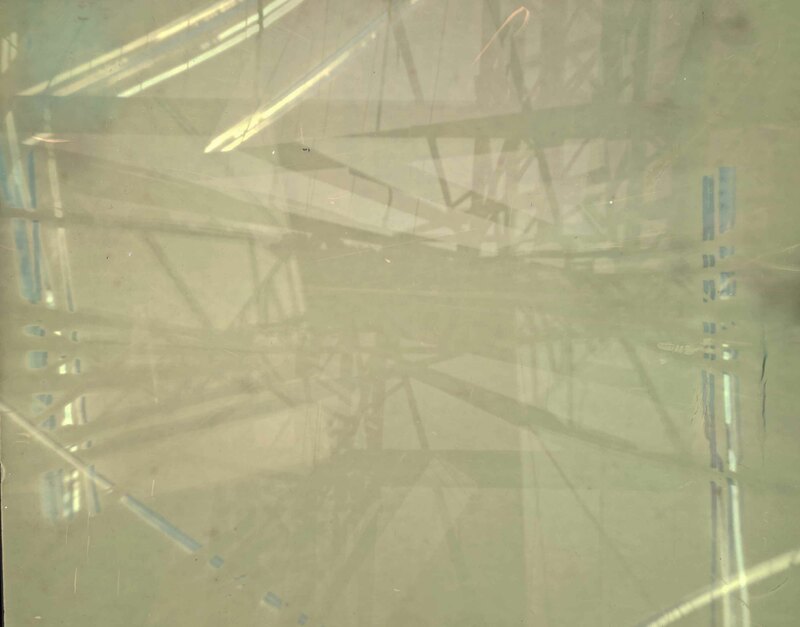 This Solargraph Project will be exhibited at the Maine Museum of Photographic Arts in Portland starting in January 2015. Stay tuned for more exhibit sites along the river! Waterville has already signed on!